With the wooded areas that are commonly found in Vermont, most of us have gardens that get partial to full shade. 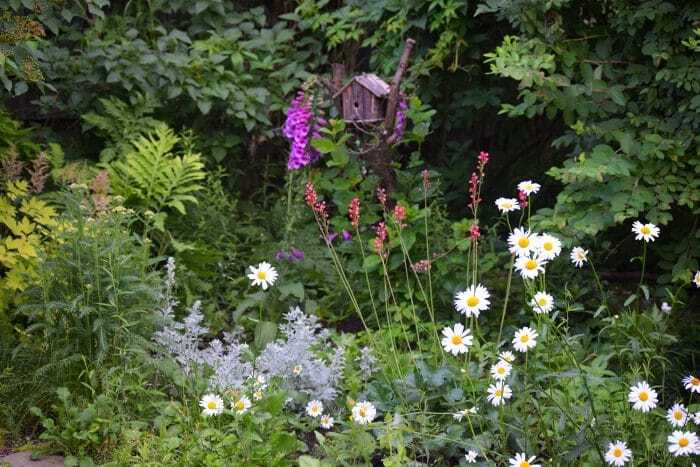 And although it can be frustrating to design an impactful, colorful shade garden that offers up interest from spring until fall, it doesn’t have to be! We’ll go over some of our favorite shade plants that thrive in Vermont and give the benefits of each. Bleeding Hearts: We all love the elegant, heart-shaped blooms of this classic shade garden perennial. It doesn’t only come in pink, though! Try different varieties in deep crimson, white, and more. 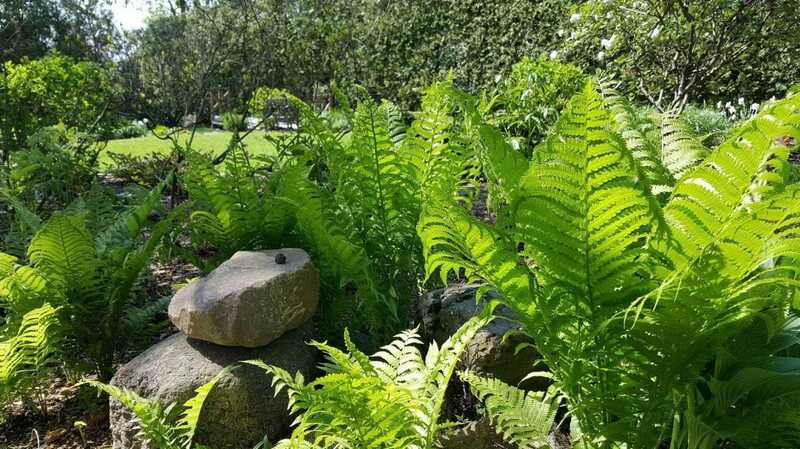 Ferns: A gardeners best friend, ferns provide interest all season long and make for great fillers in the garden. 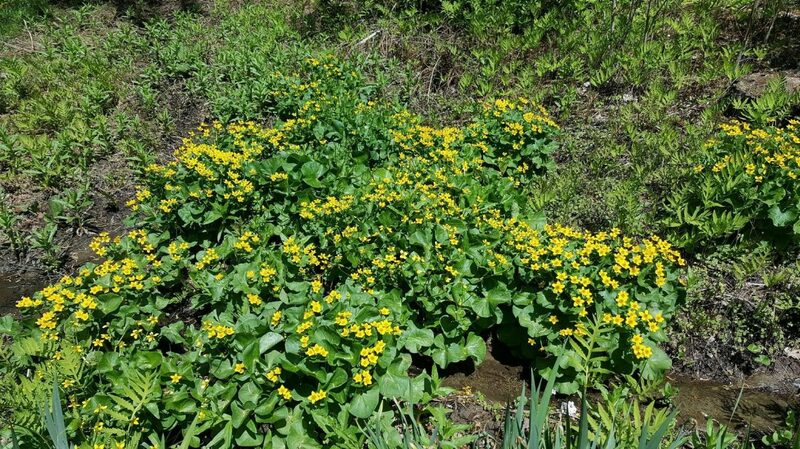 Marsh Marigolds: This early-season perennial thrives in moist areas and is the perfect choice for an area with runoff or a rain garden. Ajuga: This interesting foliage plant looks great planted with other Hostas but can spread readily, so don’t plant it where you don’t want it to fill in the garden bed. Coral Bells (Heuchera): Although these perennials may show up earlier in the season, their full beauty and blooms don’t come out until mid-season. This fantastic plant offers up unparalleled foliage beauty throughout the season and flowers in the summer months. The best thing about Coral Bells is there are so many colors to choose from to fit any garden style. Hostas: Again, Hostas start to pop out of the ground in the early season but don’t show their full potential until the mid-season. A famous shade plant, Hostas provide season-long texture with their foliage and offer up pollinator-friendly blooms in the summer months. Bonus: they multiply each year and can be dug up and divided to move around the garden every several seasons. 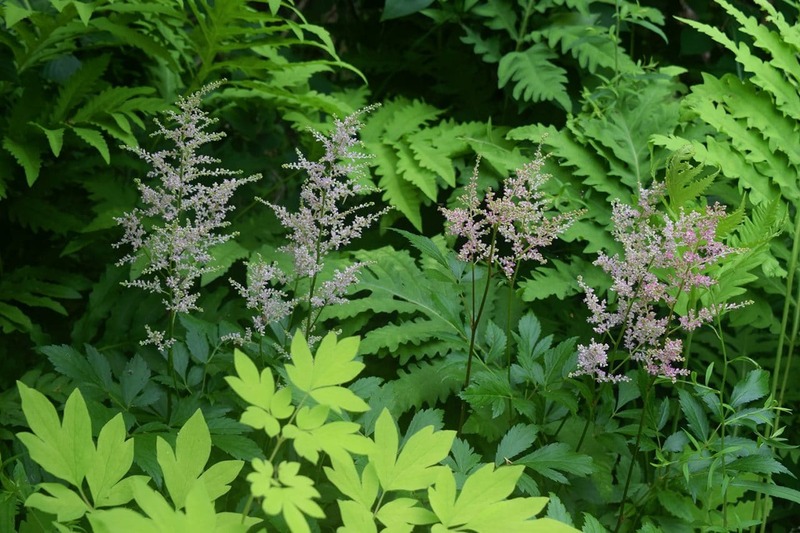 Astilbe: The colorful plumes that Astilbe bring to the mid-season garden make them a shade garden favorite. Coming in all hues of pinks, whites, reds, and more, Astilbe adds texture and also makes for a fantastic filler in cut bouquets. Lamium: One of the most elegant shade plants, Lamium starts to bloom in the mid-spring and will last throughout the summer. A great groundcover. 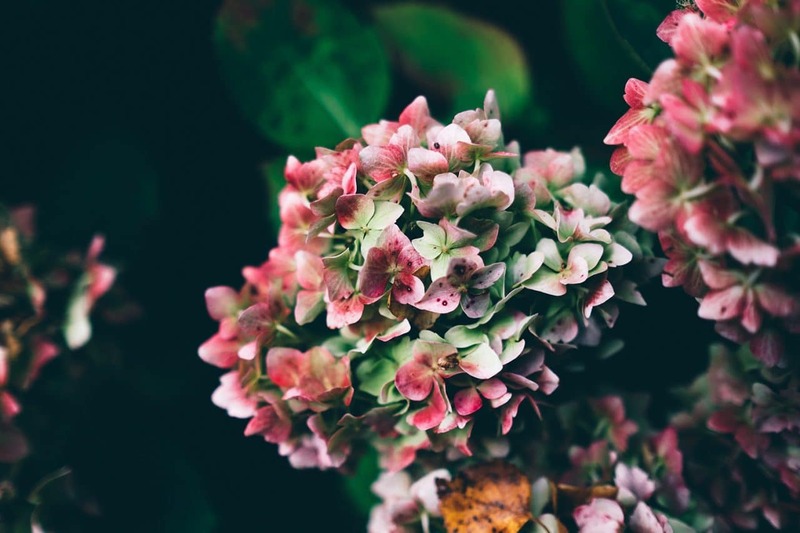 Hydrangea: Some varieties of Hydrangea thrive in the shade and offer up height, color, and privacy in the shade garden. Late season color typically lasts from summer through early fall. Bugbane (Actea): This deer-resistant perennial is extremely cold hardy and thrives in moist, wet areas in the landscape. Dramatic foliage adds texture throughout the season and spiky blooms come out in the late season. Toad Lilies: These shade beauties often bloom after everything else is done for the season, providing that last show of color before the frost hits. To design a successful shade garden, choose 1-2 varieties from each of these categories and plant groupings throughout the garden bed. If you’re looking to create a living mulch, add in the groundcovers (like Lamium) throughout to create a bed of foliage that will help eliminate the need for weeding. All of the varieties we mentioned above are hardy in Vermont and don’t require much supplemental water or care — the easier, the better!